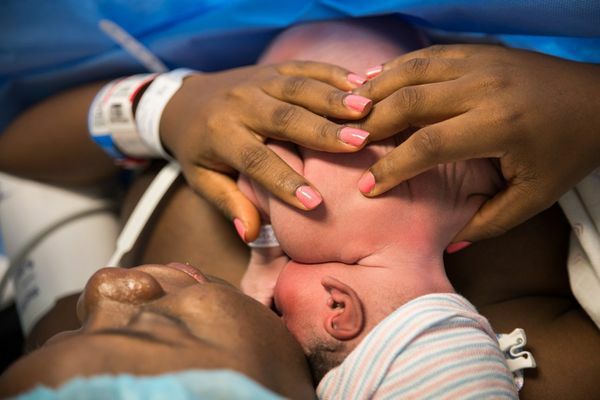 Roughly one in three births in the United States is via C-section, many of which are performed at a moment’s notice during true emergencies in order to keep mothers and babies safe. 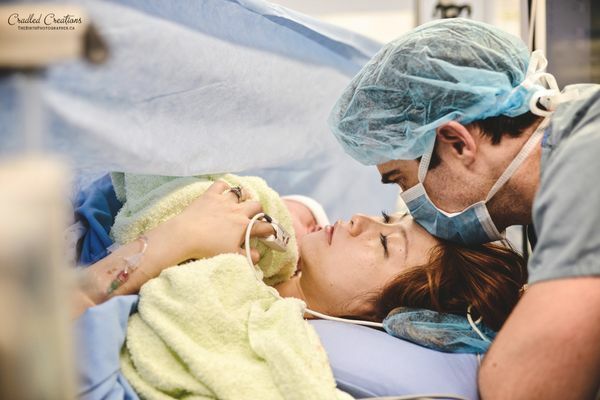 Even when they’re less sudden — when, say, a mother has a medical reason to schedule an operation ahead of time, or when her health care providers determine after hours of laboring that surgery is her best course of action — C-sections tend to be viewed as a strictly medical affair. 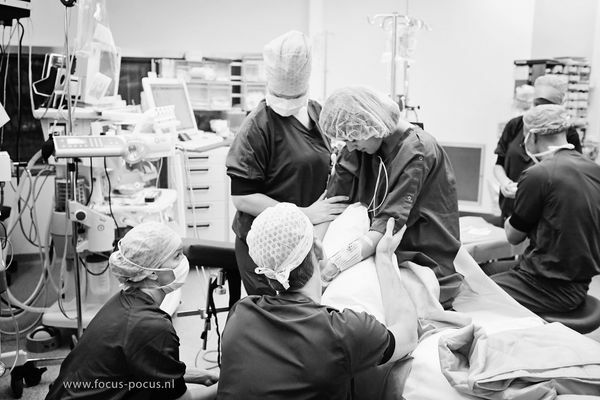 A hospital procedure, rather than an intimate, life-changing event. 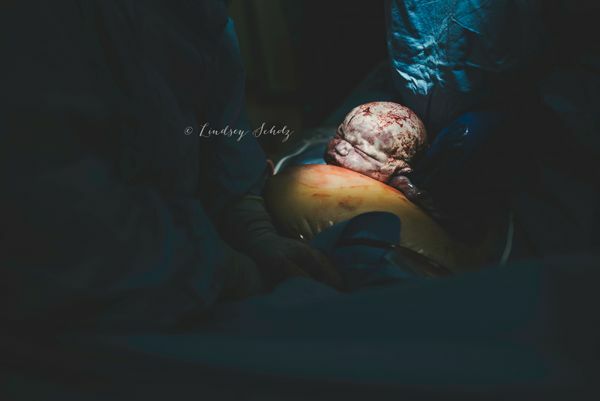 In honor of Cesarean Awareness Month, we asked members of the International Association of Professional Birth Photographers to submit some of their favorite photos capturing the beauty and complexity of C-section birth, in all of its glory. Here, 15 photographers and families share their unique stories. 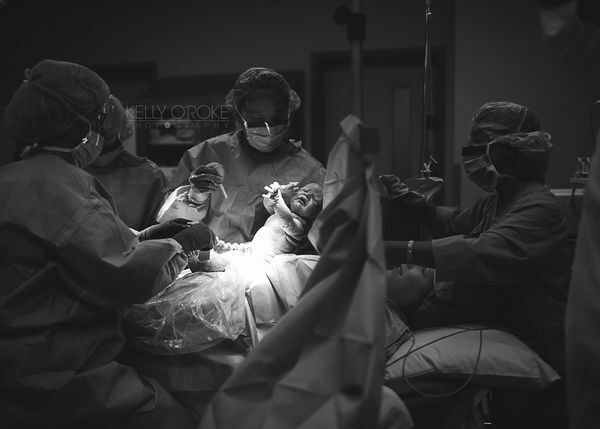 This was my second scheduled C-section, so my husband and I were familiar with the process. 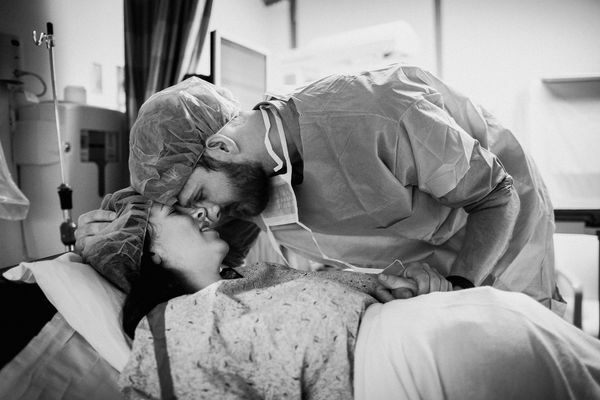 Right before I was wheeled out of the pre-op room and taken into the operating room, we said our goodbyes. You have so many emotions in that moment. 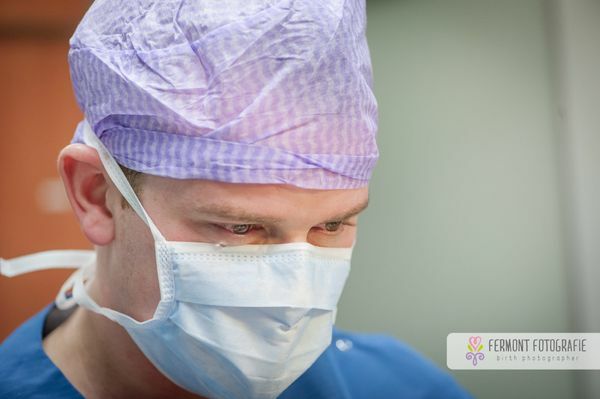 We had a baby boy13 months before — almost to the day — in the same OR, with the same team of doctors. 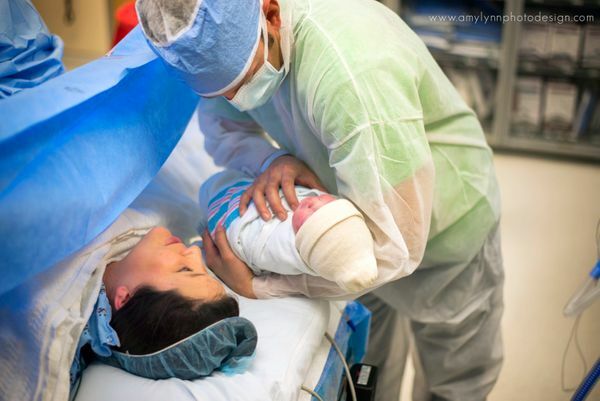 Actually, this is my third boy and my third C-section in three-and-a-half years, so this was a total deja vu moment for me. 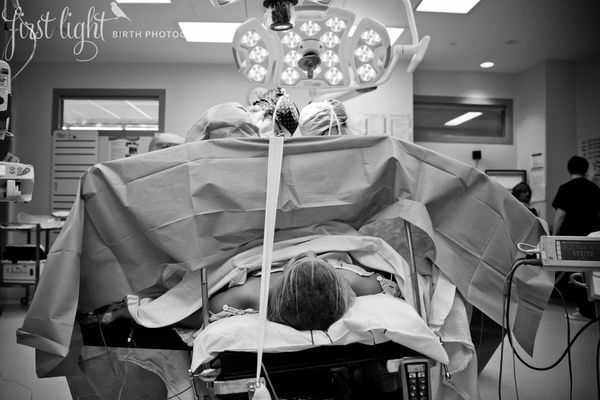 I had come to peace with a scheduled, repeat C-section the day before I gave birth. I was 41-weeks pregnant, with no signs of labor, an injured ankle and I had a previous C-section, so we decided to just go for a repeat C-section. I really tried to delight in the fact that I was about to meet my son. I kind of felt like I do when I board a plane. I hate to fly, but I’m really excited to get to the destination. In this case, it was getting through surgery to meet my child. 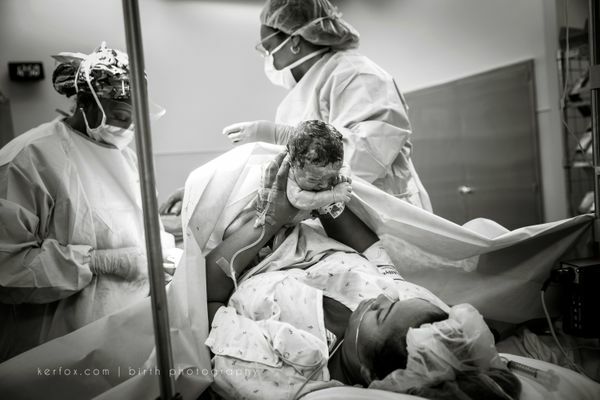 I had an emergency C-section, because of heart decelerations caused by severe preeclampsia. 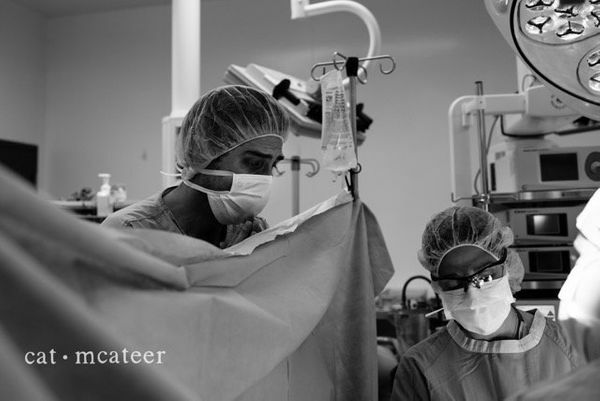 I am an OB-GYN, and when I arrived in triage, myblood pressure was elevated and I was contracting every three minutes. Iheard one fetal heart rate deceleration and I knew right then that I wouldnot be trying to labor. ← His students were struggling in school so he ‘flipped’ his classroom. That’s when everything changed.